On August 25, there were about 3 Blue Jays here at the bird bath. I had time to get a few shots of one who, unlike the others, was pretty bare of feathers on the neck and sides of its head with short feathers growing back in on its crown. I do recall reading about the phenomenon in a book some years ago. 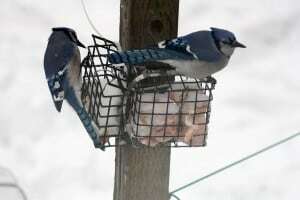 It was a discussion of blue jays moulting in August to look like vultures! I googled the phenomenon and in the first link found: “If the Blue Jays are Bald, It Must Be August” It says that blue jays go through 1 complete moult per year in late summer. 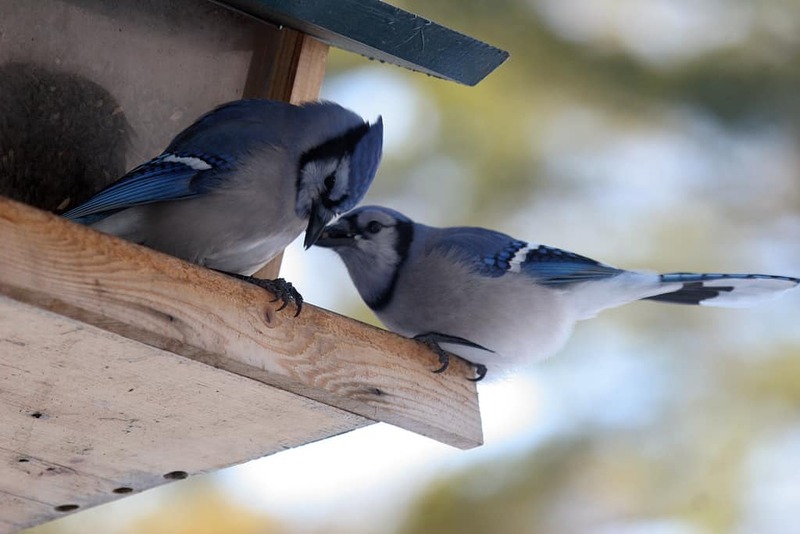 This moult usually proceeds in ordinary fashion that is barely noticeable, but blue jays (and cardinals) often experience a complete moult of head and maybe even neck feathers. Nothing is wrong, and these feathers will grow back. It could be the adults which show this baldness, said another site, and another yet said if the head looks completely naked, it could be caused by parasites or trauma. 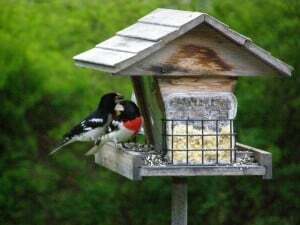 It appears to me that research on captive birds could clarify what is happening to rule out environmental or nutritional factors, etc. I have a Blue Jay with only her bottom beak. She shovels seed onto her beak by putting her head sideways. Since the baby jays are now feeding out of the bird feeder I have noticed one that also has only the bottom beak. I tried to find information out on the internet but have drawn a blank. Can anyone help? Does this happen often or is it rare? I was concerned she wouldn’t survive the winter but she eats as much as any of them.